Anthony “Tony” P. Taddeo, age 86 died Tuesday, April 10, 2018 at his home. Tony was born on March 9, 1932 in Conneaut the son of Donald “Dominic” and Mary (Ruccolo) Taddeo. He attended Conneaut High School and enlisted in the United States Navy as a Gunner Mate until he was honorably discharged. For most of Tony’s life he was the owner/operator of Taddeo’s Garage on Harbor Street, started by his father Donald Taddeo, where he would repair automobiles and operate his wrecker services until he retired just a few years ago. 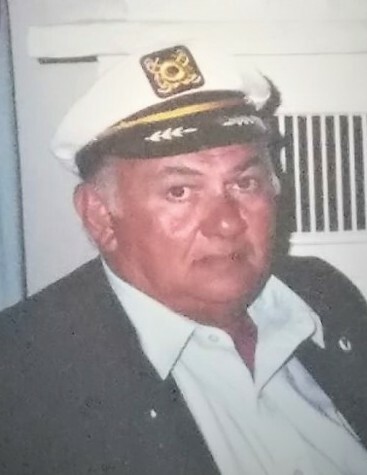 Tony was a member of Corpus Christi Parish and the Conneaut Boat Club. Tony loved to go boating with his family and friends on Lake Erie in his 1972 Marinette the “Mary C”. He also loved to vacation in Florida with his wife Carol several years ago and could tell you where to get a good hamburger. Tony was preceded in death by his parents, his wife Carole Taddeo in 2014, and his sisters Bondena Candela and Florine “Tootsie” Dames. Tony is survived by his niece Lisa Dames (Dave Lesperance) of Conneaut and nephew Donald (Alanna) Dames of Conneaut and several great nieces and nephews. Calling hours will be held from 5:00 p.m. to 8:00 p.m. on Thursday, April 12, 2018 at the Raisian Family Funeral Home, 581 Harbor St., Conneaut. Mass of the Christian Burial will be held at 2:00 p.m. on Friday, April 13, 2018 at St. Mary Roman Catholic Church, 480 State Street, Conneaut with Father Philip Miller of Corpus Christi Parish officiating. Entombment will follow at Greenlawn Memory Gardens, Route 20, North Kingsville, where the American Legion Honor Squad Cowle Post 151 will conduct military honors. Memorial contributions may be made to the Alzheimer’s Association National Office, 225 North Michigan Ave, Floor 17, Chicago, Il, 60601. Envelopes will be available at the funeral home.